Once a month, students in D1 Science participate in experiencing a ‘Yum Box’ – a box of different foods from a different country each month. 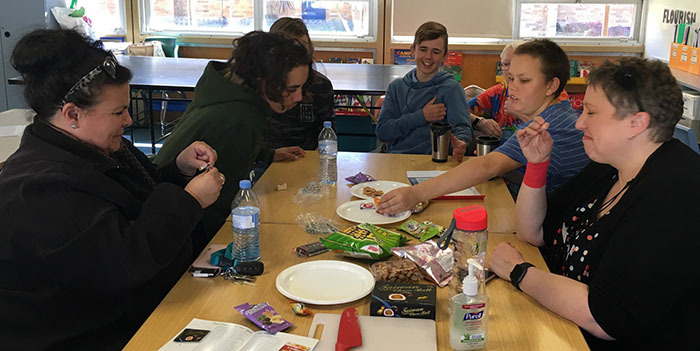 Students are encouraged to try new things, predict what foods will be like, discuss how other country’s foods are similar or different to Australian foods, discuss different cultures and work respectfully together as a team. This project is linked to the Australian Curriculum ‘Intercultural Understanding’ outcomes. Some boxes are more popular than others – students (and teachers!) found the Taiwan box food quite different! However, food from Portugal, Brazil and England were all a big hit.